What’s your ideal Sunday? 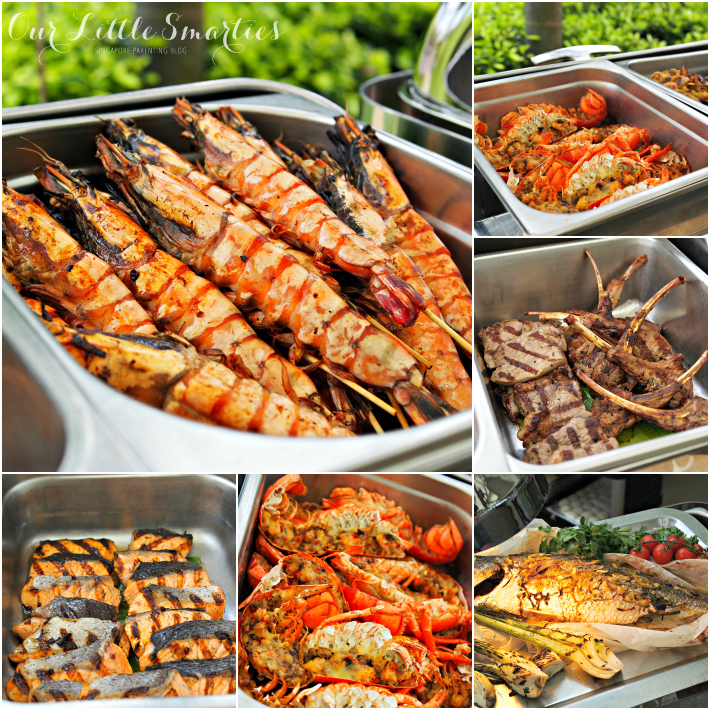 My ideal Sunday would be a mix of sumptuous buffet lunch, sunshine, sea, great family fun, and activities for the little ones. If this is what you like too, be sure to continue reading and find out more about Sunday Garden Party. It certainly tops our list as the BEST family fun-filled Sunday activity. There is always something unique about Sentosa that excites us. Even though it’s just minutes away from CBD, the moment we drive into the island, it automatically puts us on vacation mode. And there, you’ll find Shangri-La’s Rasa Sentosa Resort & Spa – the only beachfront resort in Singapore. 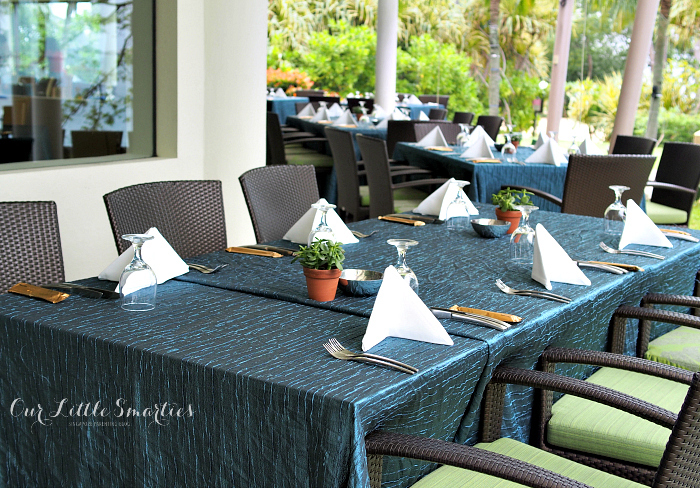 Sunday Garden Party at Atmosphere by the sea is a fun-filled dining package offered by Shangri-La’s Rasa Sentosa Resort & Spa for families to enjoy Sundays at the resort. 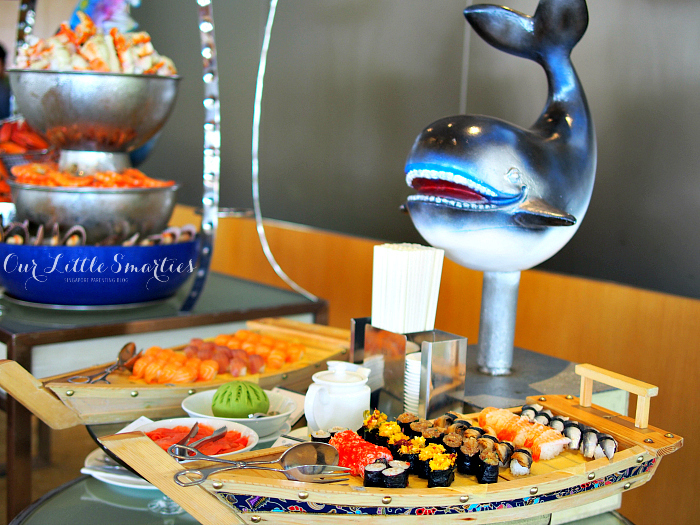 It includes a seafood buffet spread with a children’s buffet corner, alongside children’s activities. In addition, diners will enjoy complimentary access to the resort’s swimming pool, children’s slides and splash pad, as well as free parking on a first come, first served basis. The feast starts from noon till 3pm. 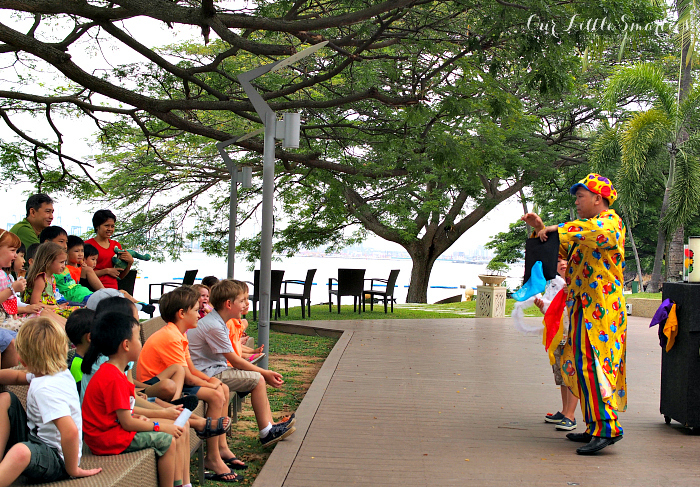 From 1pm onwards, a host of activities ranging from magic shows to balloon sculpting is available for the little ones. After lunch, families can have some fun in the water. Towels and shower facilities are also provided by the resort. 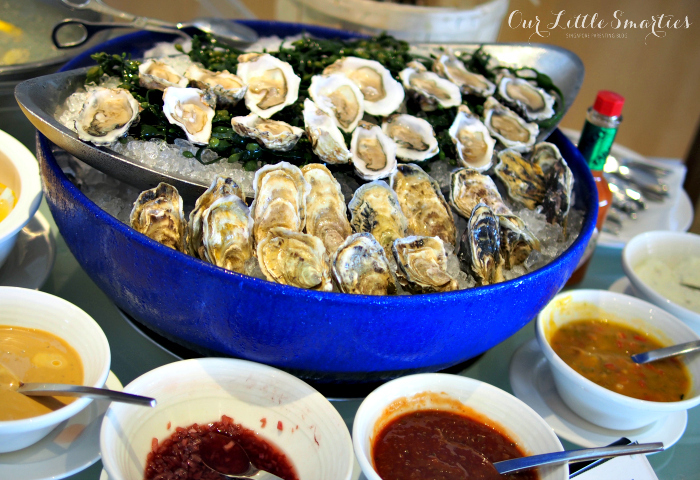 As soon as I stepped into the restaurant, my eyes were immediately drawn to the seafood tower full of fresh catches such as prawns, lobsters, crabs, crayfishes, mussels, scallops, and king crab legs that take the limelight. The buffet spread was sumptuous and more than adequate, with cleverly-designed stations for Japanese sushi, deep-sea oysters freshly flown in from the French coast, a selection of over 12 types of gourmet cheese imported from France, a live carving station with succulent barbecue and grilled meat that never disappoint, a salad station, a delightful children’s buffet corner with pasta, nuggets, marshmallow and gummies, a dessert and fruits section, gelato, as well as drinks. I tried a variety of food, and I must say that the barbecue and grilled meat and seafood were exceptionally delicious. 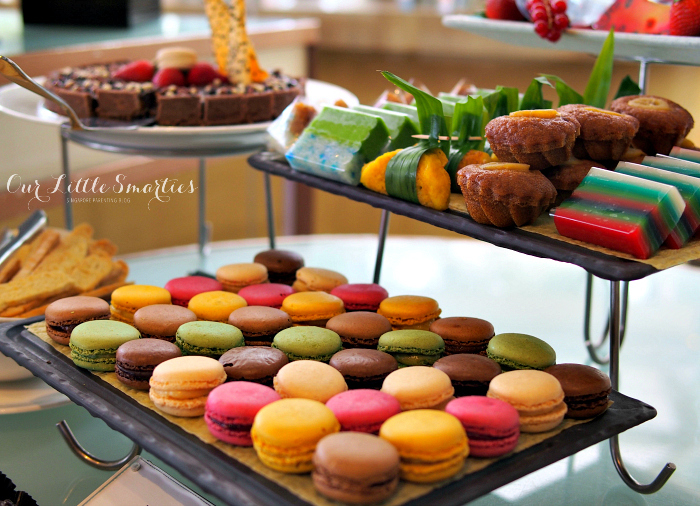 For dessert, I had a couple of macarons and a huge slice of cheese cake that simply melted in my mouth. The pandan flavoured gelato was a standout for me. Its rich, fragrant, and unique taste is the best that I’ve ever had. Diners can choose to sit in an indoor (air-conditioned) or outdoor setting. If you’re worried about the heat, you can choose to dine indoor comfortably. 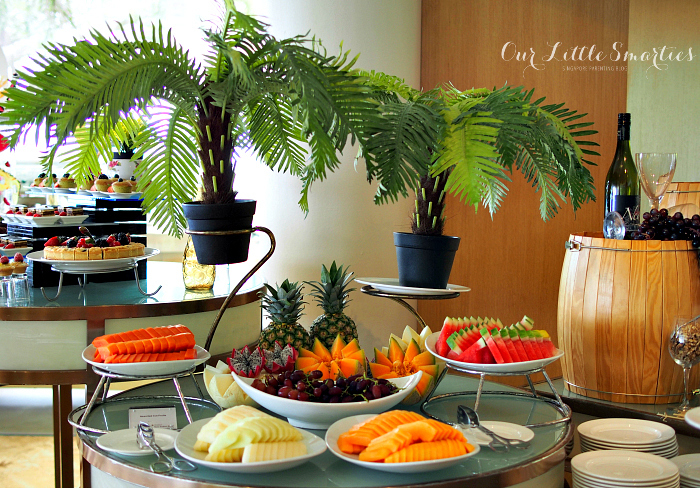 Else, you can sit outdoor with a backdrop of lush greenery and views of the majestic South China Sea. The kids can run around freely too. Soon, the magic show started at 1pm. This was his first time watching a live magic show, and he was totally fascinated by all the ‘magic’ he saw that day. The balloon sculpting session came next, keeping the children thoroughly enjoyed throughout the lunch. And the fun didn’t stop after lunch! Diners are given a colored wrist tag each that gives them access to the resort’s swimming pool, children’s slides and splash pad. Towels and shower facilities are also provided, in addition to life jackets for the kids. The resort employs a particle physics based water management system to keep the water in the pools in its natural and most pristine state to protect young skin. Only the minimum statutory amount of chlorine is added, as opposed to the four to five chemicals used in a commercial pool. This minimizes the risk of allergic reaction or respiratory problems triggered by chlorine. This also eliminates eye irritation, and is gentle to the skin and hair. The Sunday Garden Party at Atmosphere by the sea is available at S$138++ per adult. 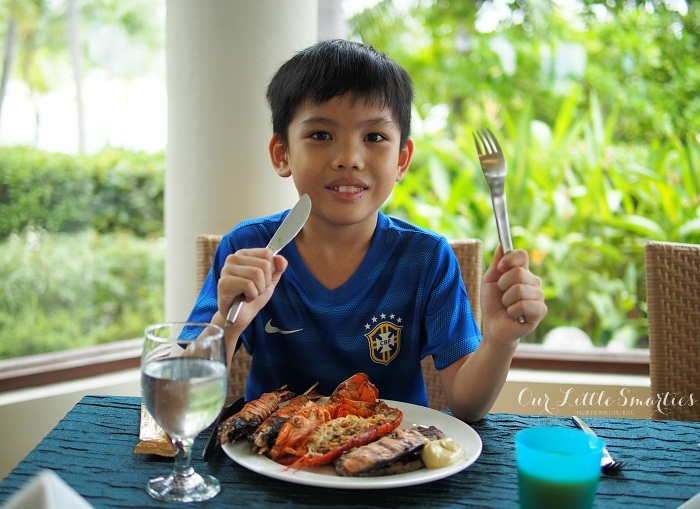 One child below 12 years dines free with every paying adult, and S$28++ applies for each additional child. For reservations or enquiries, please call (65) 6371 1966 or e-mail fbreservation.sen@shangri-la.com. The Sunday Garden Party will be made extra special during the Easter holidays and Mother’s Day. 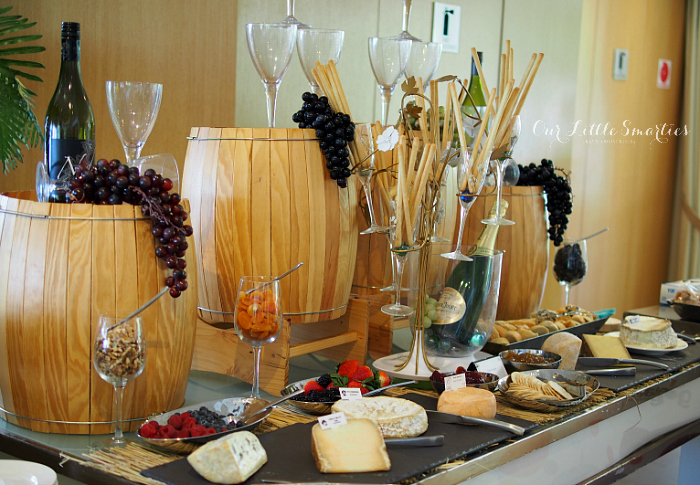 On 5 Apr 2015, the Easter Garden Party will fete families to a superlative buffet spread of festive specialities. On 10 May 2015, the Mother’s Day Garden Party will offer special activities for the ladies, and on top of that, diners will enjoy a 10-minute shoulder and foot massage. 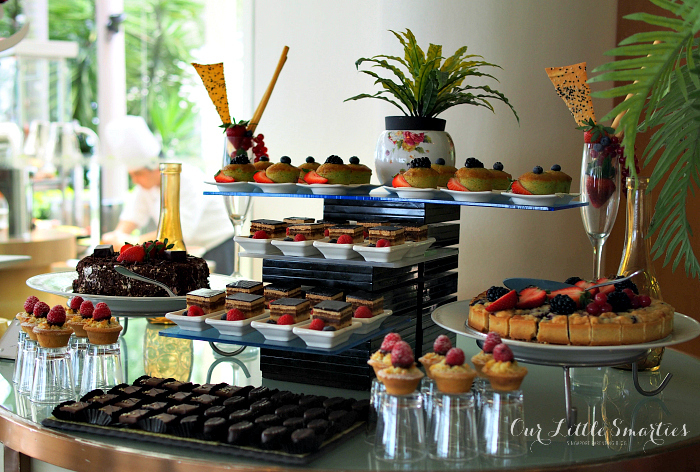 The Easter and Mother’s Day Garden Parties will be available at S$158++ per adult. One child aged 5 years or below dines free with a paying adult; $38++ applies for each additional child below 12 years and includes free-flowing soft drinks and juices. I simply couldn’t ask for more! 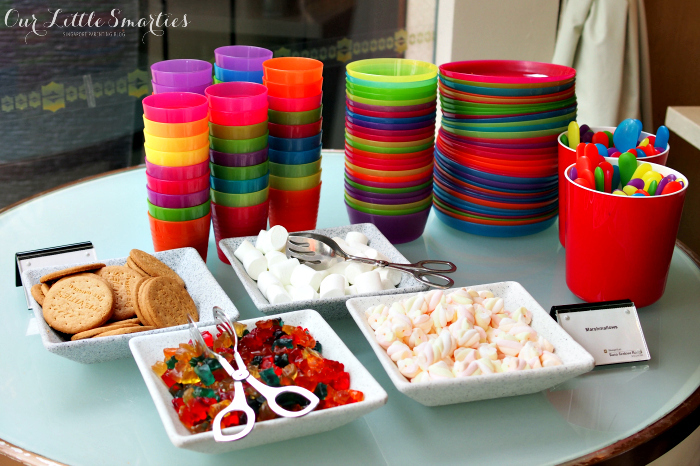 The Sunday Garden Party at Atmosphere by the sea is a perfect family-fun getaway. If you’re looking for a special place to spend a fun-filled Sunday afternoon with your family, do check out the Sunday Garden Party. Great food, great fun, great service, and great family time – it will never disappoint you. Disclosure: This was an invited media tasting. No monetary compensation was received; all opinions are honest and are my own.